hey this is Sam (bob) as i called myself before... 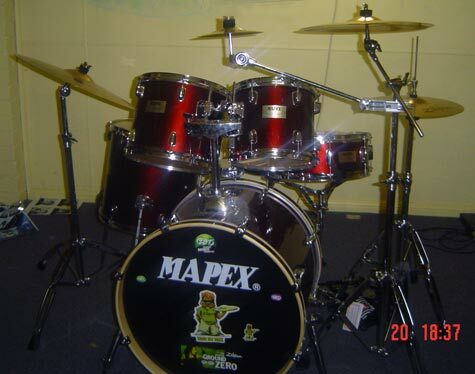 I have a mapex v series kit as you know (gallery 71) and yeah now i have updated. I have all the usual things.... evans drumskins etc... but now i have a new toy. My double kick!!! gibraltar avenger yeah and its nice, double chain drive and plates underneath for stability and strength. Its my new baby! Yeah i want more toms.!! someone give me some :P! !